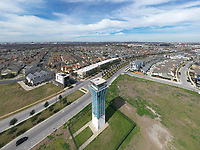 Aerial views of Austin Texas show the city bursting with growth. 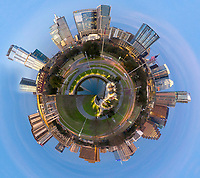 New condo towers fill the skyline as does the new Long Center on the south shore of Town Lake at Auditorium Shores. 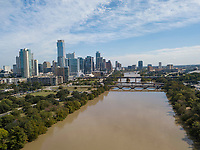 The Colorado River weaves through Austin, past down town, the University of Texas and Barton Springs, forming a visual focus for the Capital of Texas.